Some Muslim fanatics are (believe it or not) guilty of polytheism (shirk)! 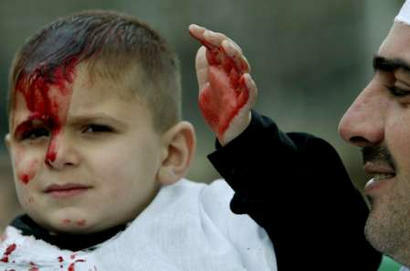 Are Shias and Sufies really Muslims? [040:060] And your Lord says: "Call on Me; I will answer your (Prayer) وقال ربكم ادعوني استجب لكم: but those who are too arrogant to serve worship Me ان الذين يستكبرون عن عبادتي will surely find themselves in Hell - in humiliation"
Allah Almighty is near, and therefore, we do not need anyone else besides Him فاني قريب اجيب دعوة الداع اذا دعان. And He is nearer to us than our own jugular veins ونحن اقرب اليه من حبل الوريد. [006:024] See how they shall lie against themselves. And that which they fabricated shall fail them. [006:026] And they forbid others to believe in it and themselves too they keep away from it. And they ruin none but their own selves; only they perceive not. [006:021] And who is more unjust than he who forges a lie against ALLAH or treat HIS Signs as lies ? Surely the unjust shall not prosper. [018:102] Do the Unbelievers think that they can take My servants as protectors besides Me? (this includes Ali, Fatimah, Jesus, Mary, etc...) Verily We have prepared Hell for the Unbelievers for (their) entertainment. [009:031] They take their priests and their anchorites to be their lords in derogation of God, and (they take as their Lord) Christ the son of Mary; yet they were commanded to worship but One God: there is no god but He. Praise and glory to Him: (Far is He) from having the partners they associate (with Him). This is what they precisely say, verbatim! In the videos, they even say that the Throne of Allah is a sandal in their feet! In English on this website. In case the youtube video gets lost as this happened before. In case all of the brother's accounts below get lost, this video would still be preserved on this website, insha'Allah (if Allah Almighty is Willing). "That day, their tongues, their hands and their feet would testify against them regarding what they used to do. (The Noble Quran, 24:24)"
"When you used to cover up and conceal your evil deeds, (you never considered) that your ears, your eyes and your skin would testify against you. In fact, you thought that (if you hide your deeds) Allah would not find out much of what you do. (The Noble Quran, 41:22)"
polytheists are a cult of infidels who are not Muslims. "Those whose efforts have been wasted in this life while they thought that they were acquiring good by their deeds! (The Noble Quran, 18:104)"
[085:010] Verily, those who make trial of the believers, men and women, and then do not repent, for them is the torment of hell, and for them is the torment of the burning! [002:217] They ask thee concerning fighting in the Prohibited Month. Say: "Fighting therein is a grave (offence); but graver is it in the sight of God to prevent access to the path of God, to deny Him, to prevent access to the Sacred Mosque, and drive out its members." 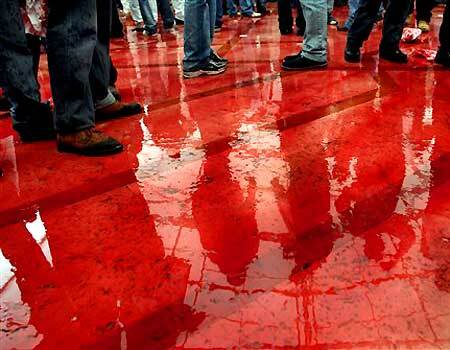 Tumult and oppression are worse than slaughter. Nor will they cease fighting you until they turn you back from your faith if they can. And if any of you Turn back from their faith and die in unbelief, their works will bear no fruit in this life and in the Hereafter; they will be companions of the Fire and will abide therein. [002:191] And slay them wherever ye catch them, and turn them out from where they have Turned you out; for tumult and oppression are worse than slaughter; but fight them not at the Sacred Mosque, unless they (first) fight you there; but if they fight you, slay them. Such is the reward of those who suppress faith. "But if anyone earns A fault or a sin And throws it on to one That is innocent, He carries (on himself) (Both) a falsehood And a flagrant sin. (The Noble Quran, 4:112)"
"Allah commands justice, the doing Of good, and liberality to kith And kin, and He forbids All shameful deeds, and injustice And rebellion: He instructs you, That ye may receive admonition. (The Noble Quran, 16:90)"
"...Help ye one another In righteousness and piety, But help ye not one another In sin and rancour: Fear Allah: for Allah Is strict in punishment. (The Noble Quran, 5:2)"
Narrated Jarir bin 'Abdullah: "Allah's Apostle said, 'Allah will not be merciful to those who are not merciful to mankind.' (Translation of Sahih Bukhari, ONENESS, UNIQUENESS OF ALLAH (TAWHEED), Volume 9, Book 93, Number 473)"
"Allah forbids you not, With regard to those who Fight you not for (your) Faith Nor drive you out Of your homes, From dealing kindly and justly With them: For Allah loveth Those who are just. (The Noble Quran, 60:8)"
[002:134] That was a people that hath passed away. They shall reap the fruit of what they did, and ye of what ye do! Of their merits there is no question in your case! Below in the links, you'll find a lot more Noble Verses and links to discussions on my blog, where we had Muslim-Shia debates, and I engaged those polytheists and idolators quite heavily and we discussed everything above and much much more in great details. My detailed text-debate that thoroughly exposes the Shias. [030:031] (Stay firm), turning to Him in repentance! Fear Him, establish the ‘salat’ (Prayer), and do not be among the ‘mushriqeen’ ولاتكونوا من المشركين _ (those associating partners with Allah). [030:032] (Don’t be one of) those who divided their religion into many sects, each happy and contented with what it holds من الذين فرقوا دينهم وكانوا شيعا كل حزب بما لديهم فرحون. Mushrikeen is a plural of mushrik. Mushrik is derived from shirk. A mushrik is also one who is guilty of shirk. He practices shirk. Therefore, he is a mushrik. Like in English, one who practices sin becomes a sinner. Sinner is derived from sin. [004:048] In fact, Allah does not forgive ‘shirk’ _ (an act of associating others as equal to Him). Baring that, He may forgive anything He wants, and whomever He pleases. The one who commits ‘shirk’ has indeed invented a singularly sinister sin! So those who divide the Muslims into sects are themselves guilty of the great sin that Allah Almighty may not forgive it for them in the Day of Judgment. To Allah Almighty, it is no less than committing shirk itself. [003:103] Cling firmly to the rope of Allah, all of you together (as a single entity)! Do not fall into disunity. Remember the favors of Allah upon you, when you were each other’s enemy? He brought your hearts together; and so by His grace you became (like) brothers. You were (perched precariously) at the brink of a fire filled abyss. But He saved you from it. Thus Allah makes the revelations clear to you. Perhaps you will find the right path. Muta marriage is forbidden according also to the Shia sources themselves! Narrated 'Umar: "I heard the Prophet saying, 'Do not exaggerate in praising me as the Christians praised the son of Mary, for I am only a Slave. So, call me the Slave of Allah and His Apostle.' (Translation of Sahih Bukhari, Prophets, Volume 4, Book 55, Number 654)"
Allah Almighty called the fanatics as disbelievers in the Noble Quran! 1- Some Muslim fanatics are guilty of polytheism. - The Jews had fell into the same sin many Muslims are falling into today, and Allah Almighty considered them as "polytheists". 2- A refutation to some moronic Muslims who worship the Prophet and his companions. - O mere creations of dust Help me along side GOD, because He can't hear, he can't listen! This is what their top scholars say! 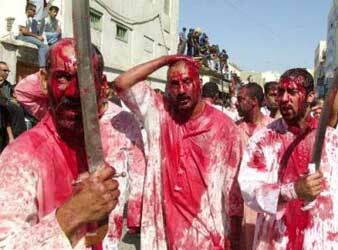 3- I don't think the Shias really understand the true meaning of polytheism? Satan himself didn't believe in idols and multiple gods. But yet, he is considered an infidel. 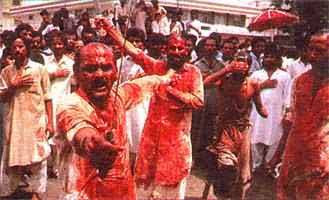 Pictures of Shias beating themselves. (a)- Simple questions that will silence any Shia and expose his evilness. (b)- What about those Shias who only slap their chests and cheeks? (c)- The word "shia" is forbidden in Noble Verse 30:32! 4- So what did Allah Almighty and Prophet Muhammad say about such Muslim polytheists? 5- My Islam is the simple Islam of Jesus' disciples and Prophet Abraham in the Noble Quran. - So what is the Islam that I follow? How can there be Muslim polytheists when Islam is clear about believing in the One and Absolute True Living Sovereign GOD Almighty and associating no partners with Him? 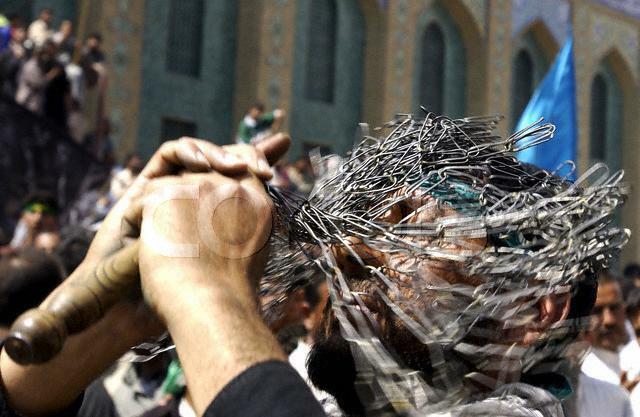 Please visit: My detailed text-debate that thoroughly exposes the Shias. [006:026] And they forbid others to believe in it and themselves too they keep away from it. And they ruin none but their ownselves; only they perceive not. "The Jews call 'Uzair a son of God, and the Christians call Christ the son of God. That is a saying from their mouth; (in this) they but imitate what the unbelievers of old used to say. God's curse be on them: how they are deluded away from the Truth! (The Noble Quran, 9:30)"
"They take their priests and their anchorites to be their lords in derogation of God, and (they take as their Lord) Christ the son of Mary; yet they were commanded to worship but One God: there is no god but He. Praise and glory to Him: (Far is He) from having the partners they associate (with Him). (The Noble Quran, 9:31)"
While the Jews are not Trinitarians as most Christians are, but they still had fell into the sin of polytheism by glorifying men created from dust. All they had to do is elate their priests and anchorites to a higher level than they deserve. "But does not man call to mind that We created him before out of nothing? (The Noble Quran, 19:67)"
While Noble Verse 3:59 on the surface seems to be only limited to Jesus and Adam peace be upon them, but to any person with an atom of a brain and thinking capability, it includes all Prophets and all Messengers of GOD Almighty. O mere creations of dust Help me along side of Allah!!! 3. Will not take notice of the Prayer or Supplication. 4. The Prayer or Supplication will not reach Him. "It was We Who Created man, and We know what dark suggestions his soul makes to him: for We are nearer to him than (his) jugular vein. (The Noble Quran, 50:16)"
"When My servants ask thee concerning Me, I am indeed close (to them): I listen to the prayer of every suppliant when he calleth on Me: Let them also, with a will, Listen to My call, and believe in Me: That they may walk in the right way. (The Noble Quran, 2:186)"
Visit the Cults Main Section on this website, and scroll down to the Shias' section. In the videos and links that I gave, you'll also see the despicable things their TOP SCHOLARS say about the Glorious Quran ! 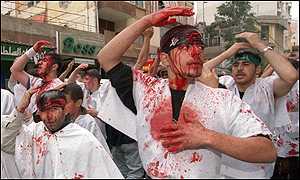 3- I don't think the Shias really understand the true meaning of polytheism? 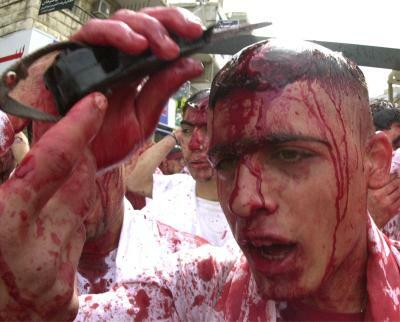 Pictures of the Shias beating themselves! Shias almost always forget that satan himself believes in the One True GOD Almighty and associated no partners with Him. Satan was not an idol worshiper. So a person doesn't have to be like a hindu, who worships idols beside GOD Almighty, to be considered an evil person in the Eyes of Allah Almighty in Islam. This is a very important point, because believing in Allah Almighty is one thing, and doing the work of satan is another. I personally don't think that Shias really and truly appreciate the Wisdom behind believing in the One True Living GOD Almighty and associating no partners with Him. 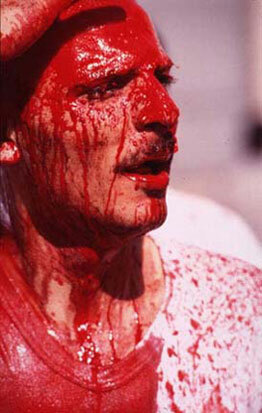 I don't think that those Shias who beat themselves until they bleed almost to death; in remembrance of the unjust death of imam Hussein, an Honorable person who is nonetheless still created from dust according to Noble Verse 19:67, are being fully Respectful and fully Glorifying to Allah Almighty. Are the following pictures, pictures of sane people or deceived fools? Do you honestly believe that GOD Almighty really wants you to beat yourself like that, OR BEAT YOURSELF AT ALL??? If you don't, then fear His Warning in Noble VerseS 18:104 , 6:21-26 and all of the other ones above! Again, please visit: My detailed text-debate that thoroughly exposes the Shias. Another child getting cut by his parent. 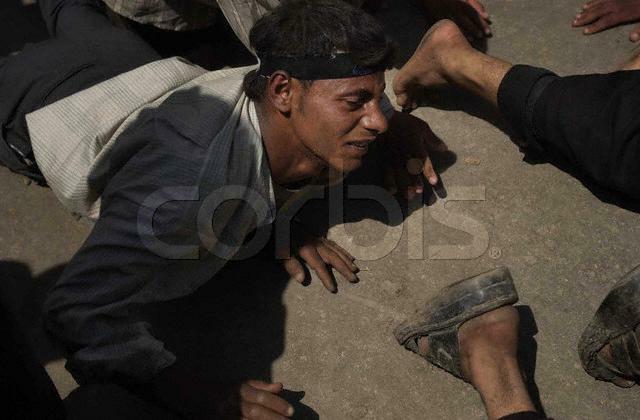 Muslim Shias beating themselves until they bleed in the Ashoura mourning. 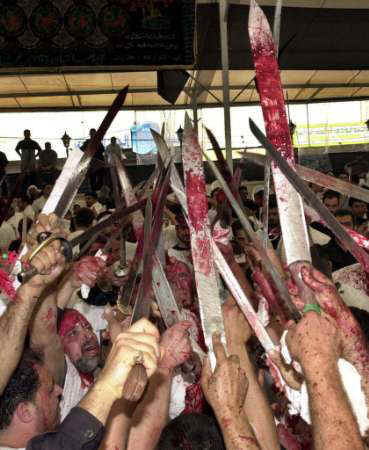 Another picture of Muslim Shias beating themselves for the sake of Imam Hussein. 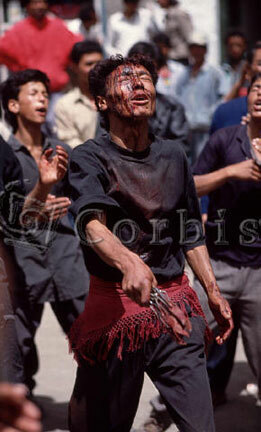 Muslim Shias beating themselves with chains until they bleed. 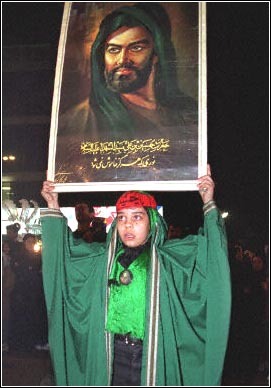 A shia girl lifting a picture of Imam Hussein. Why do they beat themselves? 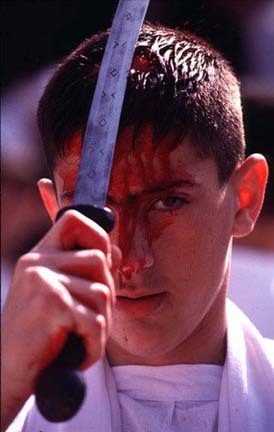 The ugly pictures above reveal the ugly and hateful side of the Shia Muslims. 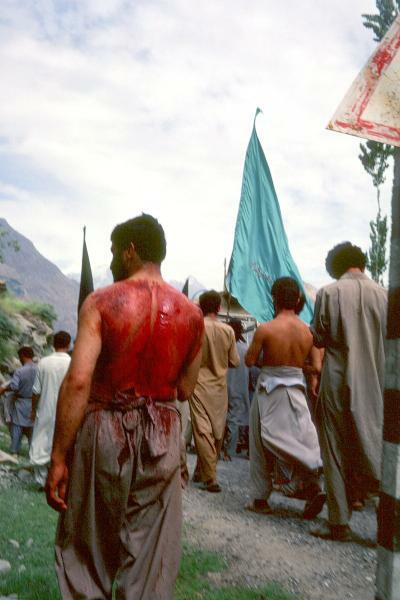 The reason why they beat themselves is because they believe that this beating is a physical punishment and purification to them for not defending Hussein when he set out from Madina to Iraq to re-establish the True Islamic Calaphite that his father and his older brother, Ali and Hasan tried but failed to establish. The fourth Islamic Caliph, Ali fought against Muawiyah (the Muslim ruler of many parts of Syria and Egypt back then) and his army. For reasons only known 1500 years ago, Ali's army split in half - one supporting Ali and one opposing him. This prevented Caliph Ali from defeating Muawiyah's army. 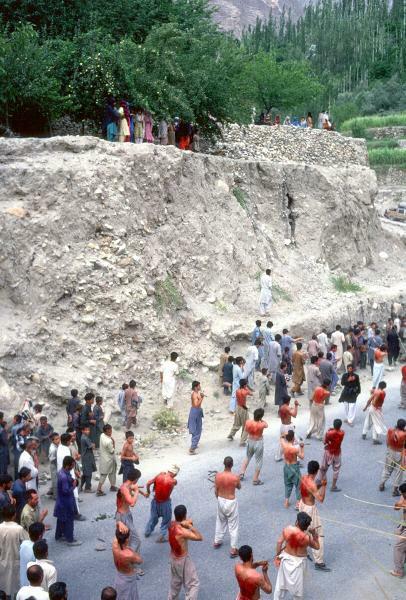 It also caused for Caliph Ali to be assasinated by the opposing army. Hasan who was Hussein's older brother made peace and ended all bloodshed when he became the Caliph. This is also why some Shias don't like Hasan. Hussein was fooled by the ones who called him from Iraq, and who promised him to stand with him to the end this time, and to not desert him like they did with his father. Hussein set out from Madina (in Saudi Arabia) to Iraq to restart all bloodshed again, but he was cut off by the opposing side's troops and was killed in what Shias believe in the town of Karbala, in Iraq. The Shias beat themselves and their children today almost to death (1500 years later) for this reason; that they were cowards who deserted Ali, Hasan and Hussein. 1- Do you consider me, Osama Abdallah, today guilty of Ali's death/murder? Am I personally responsible and accountable for his death? Must I die for it if I am? 2- If I am not guilty today, who came 1500 years later, then how does that make you guilty? Why are you holding yourselves accountable and guilty for Ali's death when you also came 1500 years later? And what exactly are you guilty of? If I, Osama Abdallah, am not guilty of murder, then how on earth are you supposed to be guilty of cowardice and/or treason/betrayal against Ali and Hussein? 3- And what about your children? You cut them with knives as we saw in the pictures above. Did you know that if you accidentally cut a vein, then you could either paralyze or kill your little child? This also applies to adults. And again, what are your children's crimes that they were convicted of? 4- Why does your child have to be punished a dreadful punishment - one that he/she most probably hates the most? 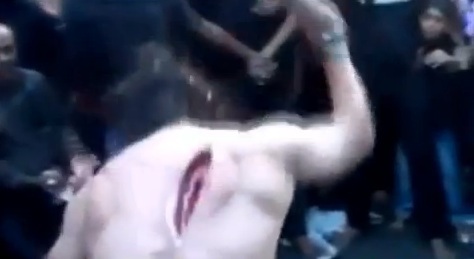 Why does he/she have to endure such evil pain? 5- When did I, Osama Abdallah, kill Ali or Hussein1500 years ago? Give me the place, time and date. And must I be put to death for it? 6- How did I kill Ali or Hussein 500 years ago? What weapon did I use and how did I fight him or them? 7- What clothes was I wearing 1500 years ago? You see, as stupid as these last three questions are, the shias are either equally stupid or worse! They have no logic, no decency, no respect to themselves (we clearly see this in their deadly beatings of themselves), no respect to their children, no respect to the human-value and dignity that Allah Almighty had given them as humans, and no respect for anything at all! These sneaky cowards, who live on lying to all people through their taqiyah, don't deserve a beautiful religion such as Islam, because they are truly idol worshipers. They invented their own *colorful* ways to twist and pervert Islam and Islam's Scriptures to justify their excessive glorification and praising to mere creations from dust, so much that they would kill their own children for a foolish cause and foolish history that no one today has anything to do with. 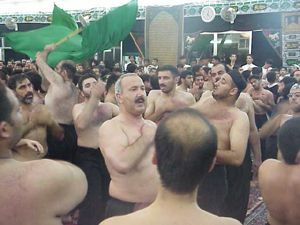 (3b)- What about those Shias who only slap their chests and cheeks? "As to those who deny the Signs of God and in defiance of right, slay the prophets, and slay those who teach just dealing with mankind, announce to them a grievous penalty. (The Noble Quran, 3:21)"
"God hath heard the taunt of those who say: "Truly, God is indigent and we are rich! "- We shall certainly record their word and (their act) of slaying the prophets in defiance of right, and We shall say: "Taste ye the penalty of the Scorching Fire! (The Noble Quran, 3:181)"
Ali and his son Hussein are not that big of a deal when compared to the many Prophets and the millions upon millions of innocent humans who were innocently murdered, and will be innocently murdered! I submit to you and declare before Allah Almighty that even if our beloved Prophet Muhammad (peace be upon him) himself was slain unjustly, it would still be sinful for anyone today to beat him or herself (either heavily or lightly) and their innocent children for the holy Prophet, because our beloved Prophet would've simply been just another innocent Prophet from among the many others before him that were slain by the evil doers as we clearly saw in Noble Verses 3:21 and 181 above. Ameen indeed!! Do not waste your good deeds in foolishness while being deceived into thinking that you are doing good deeds that are pleasing to Allah Almighty! (3c)- The word "shia" is forbidden in Noble Verse 30:32! [030:031] (Always) Turning in repentance to Him (only), and be afraid and dutiful to Him; and perform AsSalat (IqamatasSalat) and be not of AlMushrikoon (the disbelievers in the Oneness of Allah, polytheists, idolaters, etc.). [030:032] Of those who split up their religion (i.e. who left the true Islamic Monotheism), and became sects (shia), (i.e. they invented new things in the religion (Bidah), and followed their vain desires), each sect rejoicing in that which is with it. Imagine me today creating a new cult and naming it "the infidels" (kuffar). Imagine me calling myself a "Muslim infidel". Can anything get any dumber than that?! 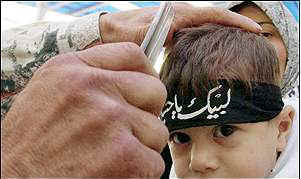 The Muslim-Shias titled their cult (shia) with a word that is forbidden in the Noble Quran upon every believing Muslim! They call themselves "shias" when Allah Almighty clearly and directly Commanded the Muslims to not be "shias" in Noble Verse 30:32 above. This is just a small example that further demonstrates how deceived the Muslim-Shias are. Note: Shia in Arabic is both singular and plural. 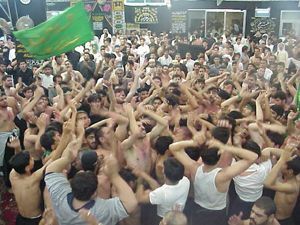 A single person is shia, and multiple persons are also shia. My use of the word "shias" is only to help the English reader follow through. But in Arabic, it is not correct to say "shias" (with an "s"). [030:032] Those who split up their Religion, and become (mere) Sects,- each party rejoicing in that which is with itself! [030:032] Of those who split up their religion and have become divided into sects, every party rejoicing in what they have. [030:032] Of those who split up their religion (i.e. who left the true Islamic Monotheism), and became sects, (i.e. they invented new things in the religion (Bidah), and followed their vain desires), each sect rejoicing in that which is with it. [006:159] As for those who divide their religion and break up into sects, thou hast no part in them in the least: their affair is with God: He will in the end tell them the truth of all that they did. [006:159] They who make a division in their religion, and become sectaries, have thou nothing to do with them; their affair belongeth only unto God. Hereafter shall He declare unto them that which they have done. [006:159] Verily, those who divide their religion and break up into sects (all kinds of religious sects), you (O Muhammad SAW) have no concern in them in the least. Their affair is only with Allah, Who then will tell them what they used to do. As we clearly see in these Noble Verses above, Allah Almighty clearly and seriously condemned those who strive on dividing the Muslims into cults, sects and groups. 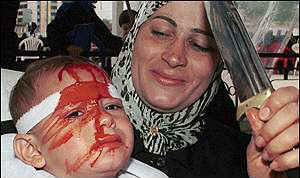 GOD Almighty condemned them so much that He, the Almighty, went as far as calling them disbelievers! [004:093] Hellfire is the punishment for anyone who kills a believer intentionally and willfully. He shall stay there forever. He incurs the wrath and the curse of Allah. For such a one, He has prepared the severest (most awful) torment. So clearly, the Sunni and Shia fanatics are no less than infidels and enemies of Islam and the real Muslims!! Humans are really ridiculous. They love to create gods and worship them. I guess it's part of our human instinct. Look at the far Eastern religions, such as Hinduism, Buddhism, Jainism, etc... They all worship idols and they truly believe in those helpless idols. Even the followers of the Western religions such as Judaism, Christianity and Islam, are somewhat idol worshipers. The difference between us and the followers of the far eastern religions is that we glorify humans, and they glorify idols made from wood and stones. "No soul can believe, except by the will of God, and He will place doubt (or obscurity) on those who will not understand. (The Noble Quran, 10:100)"
"Say, 'The truth is from your Lord': Let him who will believe, and let him who will, reject (it)....(The Noble Quran, 18:29)"
Please visit: Apostates and freedom of religion and choice in Islam. It is not allowed to kill an innocent soul in Islam, even if the person is not a Muslim. So what is the Islam that I follow? I simply follow the Islam that existed before Prophet Muhammad peace be upon him. Remember that Islam ended with Muhammad, it didn't start with him. Islam, the believing in the One True Living GOD Almighty, started with Adam, taught to Mankind through of all the Prophets, and ended with Muhammad. "And behold! I inspired the Disciples to have faith in Me [Allah] and Mine Messenger [Jesus]; they said, ''We have faith, and do thou bear witness that we bow to Allah as Muslims.' (The Noble Quran, 5:111)"
"Who can be better in religion than one who submits his whole self to God, does good, and follows the way of Abraham the true in Faith? For God did take Abraham for a friend. (The Noble Quran, 4:125)"
This is my Islam. The Islam of no divisions and no sects. The simple and peaceful Islam of believing in the One True Living GOD Almighty and associating no partners with Him. I don't believe in the modern fanaticism of Islam. That is not Islam. That is satan's work fooling the foolish from the Muslims who are trying to justify their polytheist work through glorifying other humans. 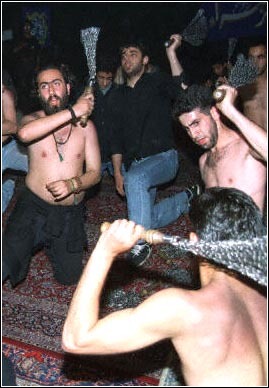 The shia cult is not Islam. It is a pagan and polytheistic religion. This doesn't mean that all Shias are disbelievers. Like in every religion, many of the average people are ignorant about the details of their religions. Such shias are still Muslims. But quite honestly, I believe there are only a few of them who are like that. The shias that I've spoken with seemed to ALL have full knowledge of what they do and what they say. Those people are defnintely polytheists and disbelievers. You couldn't possibly practice the shias' religion and still be in harmony with the Glorious Quran! It's just impossible. Their false "Islam" is not the Islam that the mainstream and overwhelming majority of the Muslims follow. 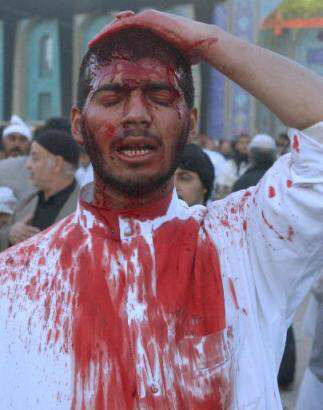 Shias haredly make up 10% of the 1.2 billion Muslim population world-wide. I am even being generous in with this percentage. Their most concentrations are in Iran (half of the nation isn't even Shias or even Muslims), Pakistan and Iraq. They also have very little communities in Lebanon, Syria, Michigan - USA and elsewhere. But beyond that, they almost don't exist. Non of the four Caliphs was really perfect! My rebuttal to the Muslim Sunni and Shia sects. Some of the Shias' or Shiites' Mosques are Blasphemous Mosques according to the Noble Quran! Proofs from the Noble Quran that Muta (temporary marriage) is forbidden! Apostates in Islam, and freedom of religion and choice. Human rights and equality in Islam V.S. Christianity.